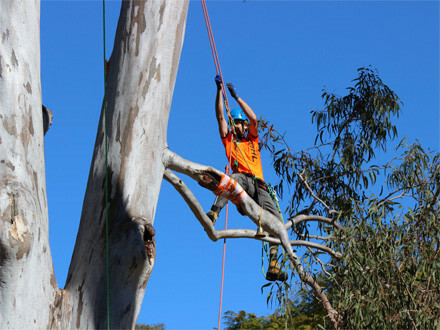 Queensland's skilled tree climbers were put to the test at the Queensland Arboricultural Association's (QAA) annual Queensland Tree Climbing Competition. 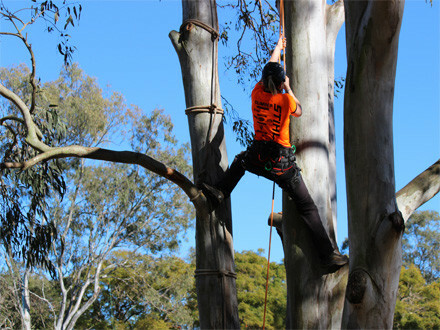 Set in sunny Colmslie Beach Reserve in Brisbane and supported by leading outdoor power tool company STIHL, 32 climbers raced to the tree tops. Stephen Jackson took out the title for the males and Rebecca Barnes for the female division, with both set to compete in the state masters competition. Simulating the working conditions of professional arborists, competitors were tested in five disciplines examining their ability to professionally and safely maneuver in a tree while performing work-related tree-care tasks accurately and quickly. 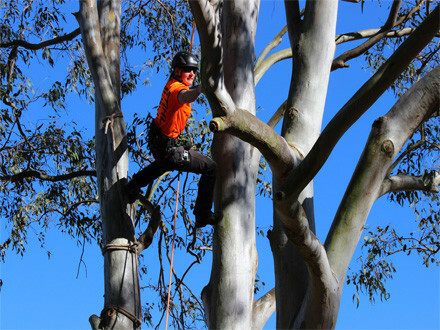 President of QAA, Glenn Walton, said the Queensland state competition is an exciting opportunity for local tree climbers to get one step closer to the international championship in the US. "STIHL chainsaws are the most popular among competitors and having STIHL at the competition was really exciting for the climbers and organisers," Walton said. Climbers, judges and volunteers donned black and orange MagCool T-Shirts ensuring all participants looked smart and kept cool throughout the day's jam-packed action. Speaking about STIHL's partnership with the QAA, STIHL Product Manager Lee Gooch said being involved in an organisation that promotes safe chainsaw practices is a natural synergy for STIHL. "We're pleased to be actively involved with the Arborist industry and able to support the QAA in the promotion of good tree care practices across the state," says Lee Gooch.